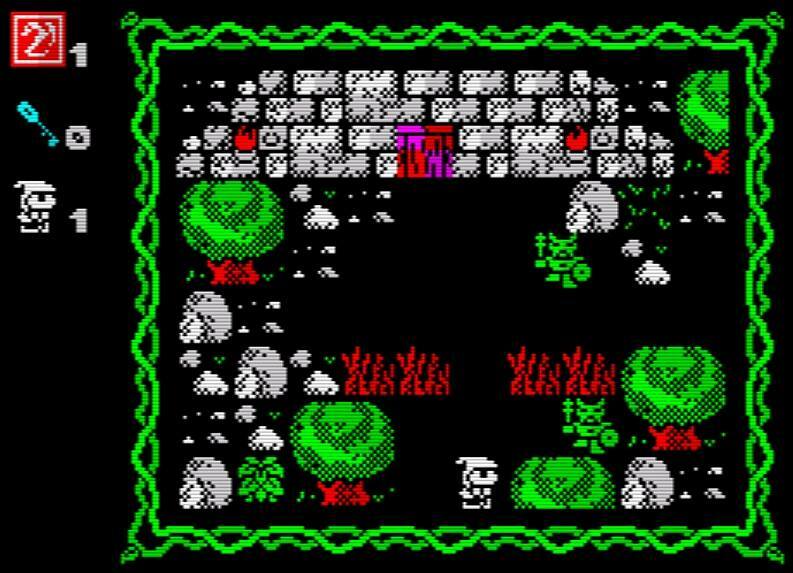 Indie Retro News: Mag the Magician - A ZX Spectrum Homebrew review! 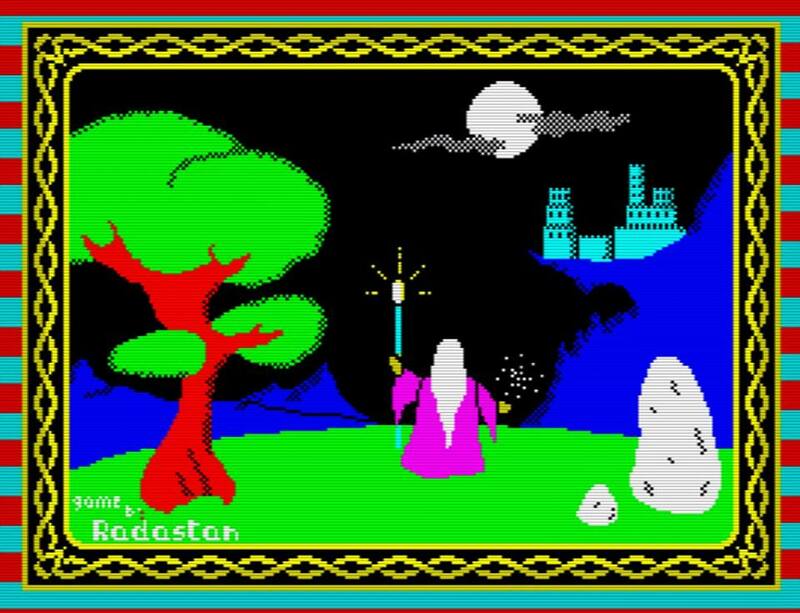 Mag the Magician - A ZX Spectrum Homebrew review! In the village of Telerin the wise rule, the wise can do magic, and only they have the recognition. But Mag is not a wise man, and they will not let him be unless he recovers the five pages of the great book of spells. So begins the latest release from Spanish homebrewers Radastan: Mag the Magician. Mag is a fairly typical old school maze game, which sees our pixelated hero wandering around the forests around Telerin, looking for the pages of the spell book. On your travels you can pick up keys, apparently lost by some of the wise inhabitants of the village (best not pass comment on that, Mag), which will allow you to break into their homes and steal important documents. The map is displayed in the same kind of top-down perspective as Speccie classics like Sabre Wulf - but without the advantage of a sabre, or any kind of magical ability, or even usable fists, Mag is left to valiantly avoid being killed by the various orcs, trolls and walking trees which patrol the area. Luckily they have a good union, and they're on a work-to-rule so they won't step a pixel outside their designated route to stop you, which at least gives you a fighting chance. The sprites are pretty simple, chunky little fellas, with a little shading to give them some depth; the little green trolls are kind of cool, and the walking trees are weirdly cute, in an overweight Baby Groot sort of way. All of them will kill you with a single touch though, should you be caught within their defined patrol area. If there is one shortfall in this game it's the sound, which is limited to beeper-generated footstep sounds and didn't take long to be annoying. Still, that's why the wise people of Telerin invented the mute button, so you can just put your Lord of the Rings soundtrack CD on instead. Mag the Magician can be downloaded from bytemaniacos.com.